Sources say that the DirecTV numbers for UFC 202 were the highest in the promotion’s history. 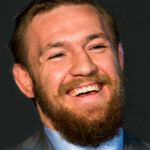 Current estimates have the show doing 1.65 million buys on pay-per-view, putting it slightly ahead of UFC 196, the first McGregor vs. Diaz fight, which was estimated at 1.6 million. Both would be ahead of the prior record set at UFC 100 for the second Brock Lesnar vs. Frank Mir fight UFC’s own pay-per-view orders through the Internet were believed to have also broken the record set at UFC 196. On the night, the show sold 12,657 tickets, and including late discounting, and there were 14,060 in the building. The live gate announced the night of the show was $7,629,010.